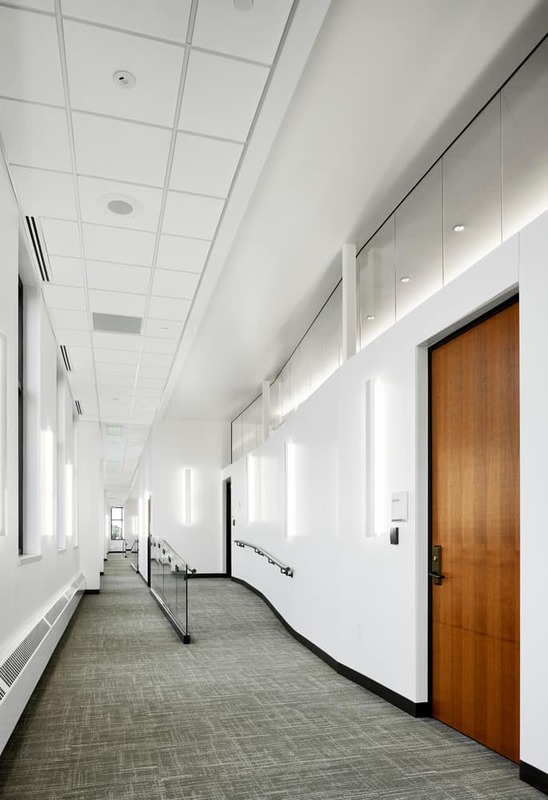 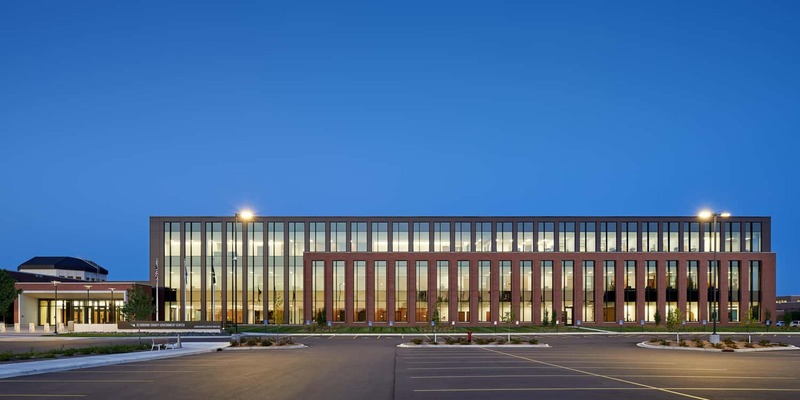 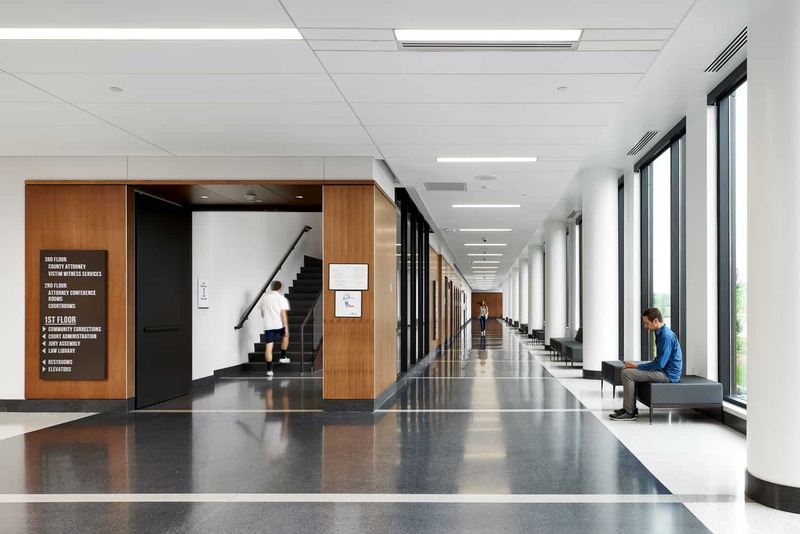 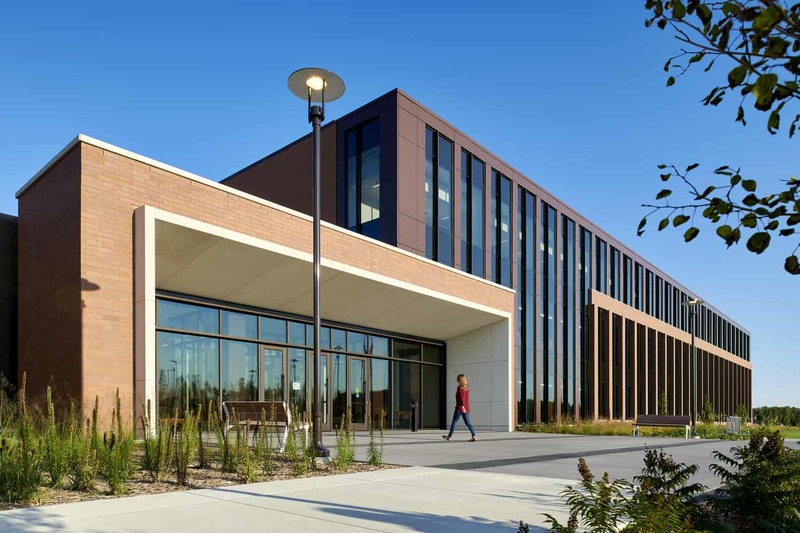 As one of the fastest growing counties on the edge of the Minneapolis-Saint Paul metropolitan area, the Sherburne County Government Center expansion addresses the County’s increasing staff and space needs. 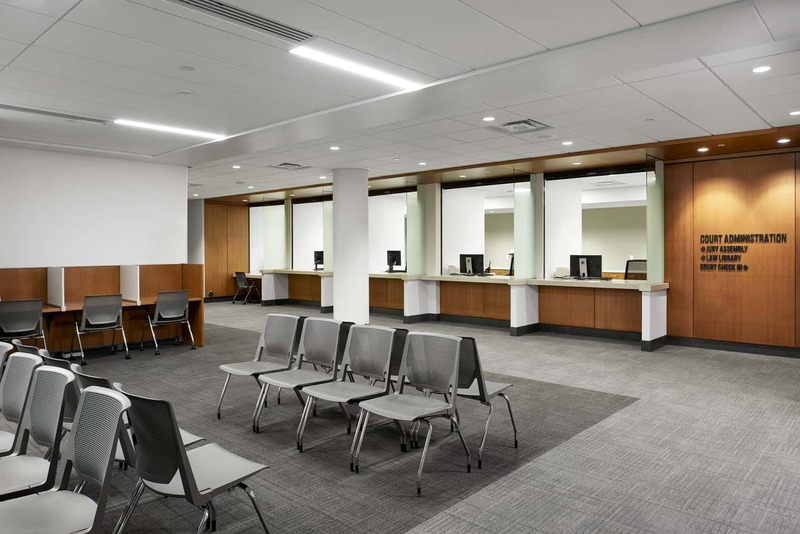 A project that began in 2008 but was put on hold during the Great Recession, the County revived it in 2015 with confirmation of the BWBR-designed program, review of the 2008 design, and projection of County growth through 2027. 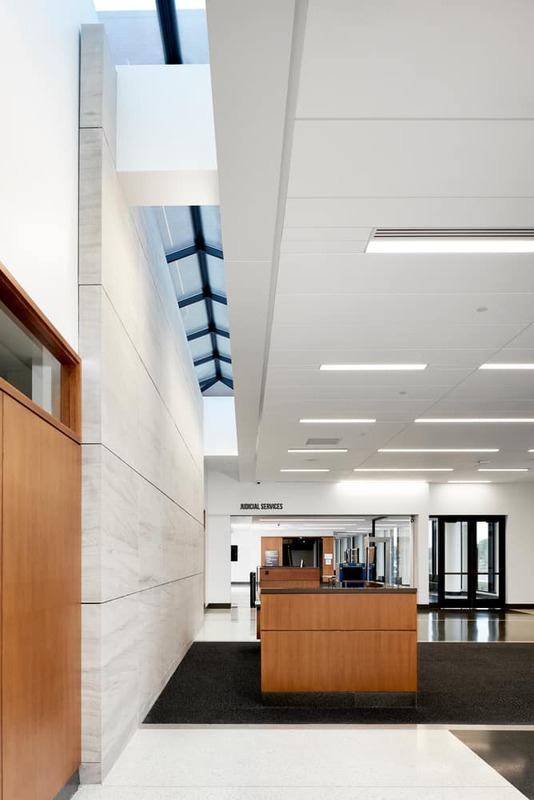 As the facility’s new main entry, the addition enhances visibility, improves security, provides accessibility, and updates technology for visitors and staff. 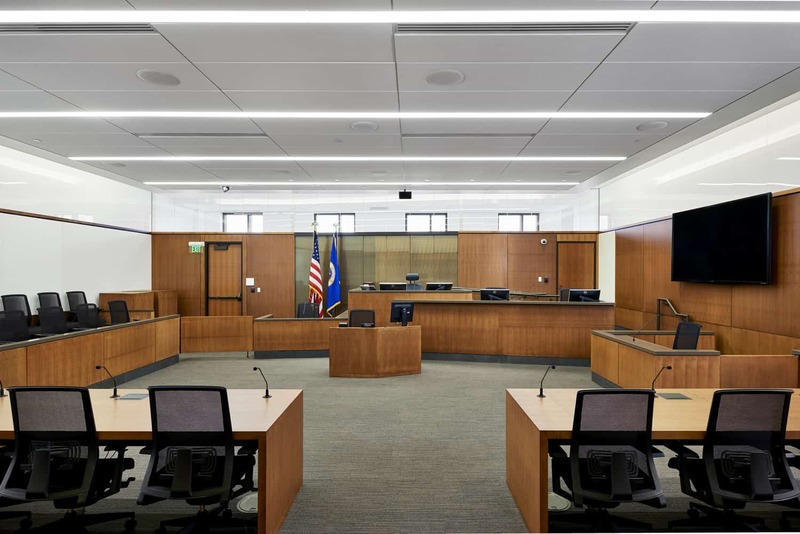 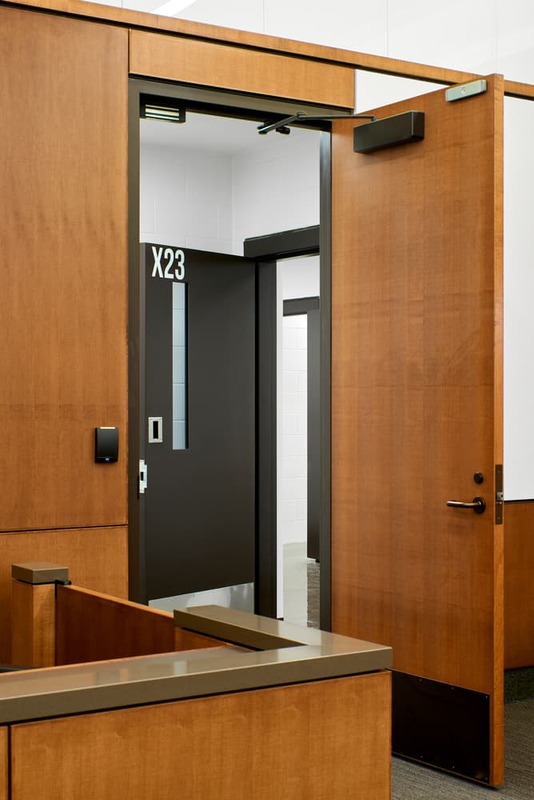 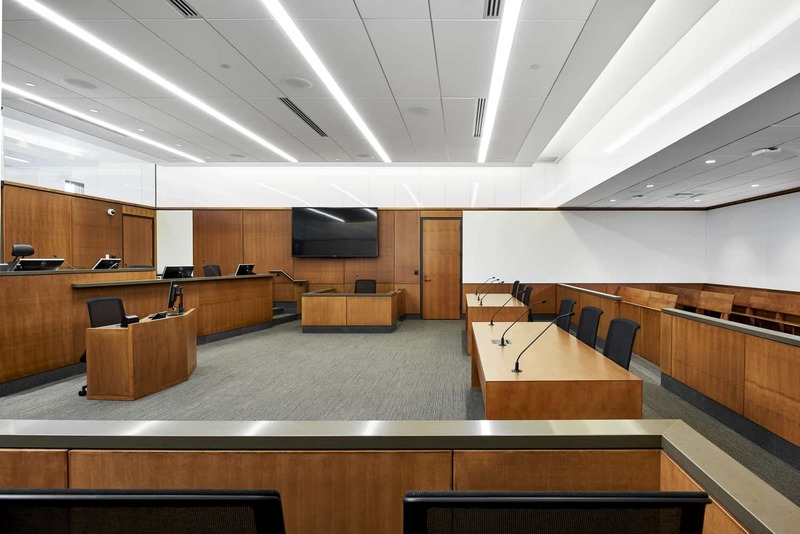 It houses five new courtrooms; judge’s chambers; inmate delivery and holding; office space for Court Administration, Community Corrections, and County Attorney departments; as well as shelled space for two additional courtrooms in the future. 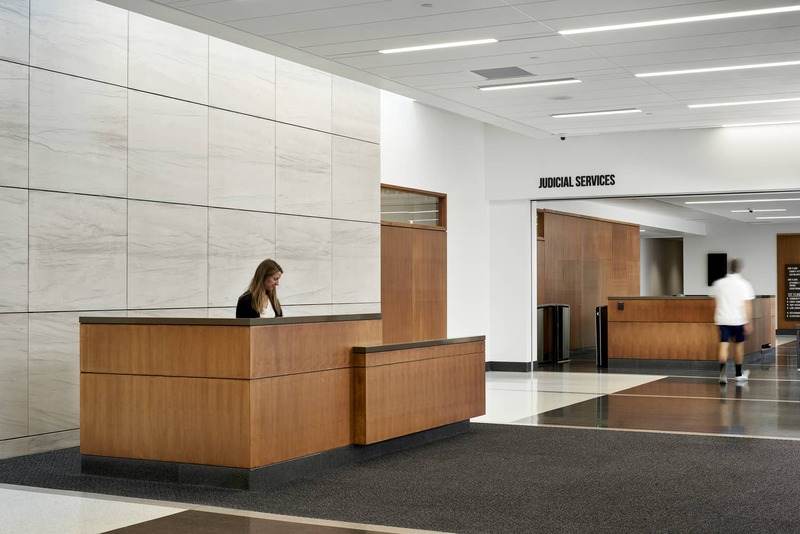 The renovation of the existing government center aims to support staff growth in the coming years and increase efficiency. 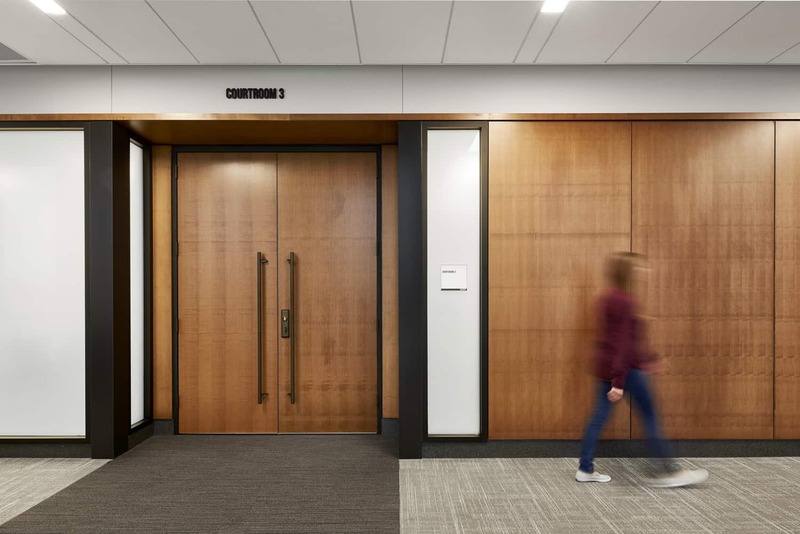 Through clear wayfinding for visitors, updated office space for 13 departments, a large staff cafe, and a refresh of the existing boardroom, Sherburne County is better equipped to serve the population’s many forms of growth.